1099 is an instrumental post-rock band from Norway that has decided to release their latest effort online as a pay-what-you-want download on their bandcamp page. 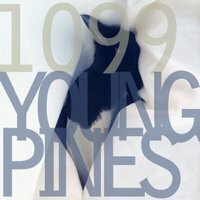 I don't know if it's the lack of interest from record companies or whether the band decided to leave the business side of it all behind them and just focus on making music, but Young Pines clearly is an interesting album, well worth checking out if you're interested in decent post-rock and also if you're a Morricone fan. Young Pines constists of eight elaborate instrumental tracks, good for an hour of enjoyment. As in most post-rock releases, influences from Explosions In The Sky or Mogwai aren't far away but 1099 sound convincing enough to be a decent player in the scene. The overall feeling is calm and soothing, even if the tempo goes up a bit. The music never gets obtrusive, not even when the distortion pedals are put to work. Instead, they become elate and uplifting tunes, like a soundtrack for happiness. True, 1099 likes to experiment a bit. At the end of 'Yeager' there's a bit of noise and feedback but this is immediately followed by another excellent and beautiful track, 'Astoria'. Opener 'Memfis' reminds me of Monkey3 covering 'Once Upon A Time In The West' by Ennio Morricone. The country feel is amazing here, even for someone who doesn't like country music at all. 'Palatine Light' is probably the darkest track on this album. It starts out as a dark ambient piece and slowly evolves into a very recognizable and enjoyable track. Like all tracks, it has a distinct own warm sound and atmosphere. 1099 has made an album filled with compelling music that really has the ability to set the listener on an imaginary journey. With a number of arrangements and strings, this album is pretty powerful and melodic. Closing track 'Hjorten' is the perfect example for this use of extra arrangement and a worthy 'grand finale' for this outstanding album. I kinda accidentaly stumbled on this album and I'm very glad that I did so. So this is my way of complimenting 1099 with a brilliant album and trying to get them a bit higher on the post-rock ladder.